Motor Magnets – Electric motor applications represent a key area of growth for MPCO Magnetics. We supply to applications that incorporate soft magnetic materials, as well as high density bonded NdFeB permanent magnets. 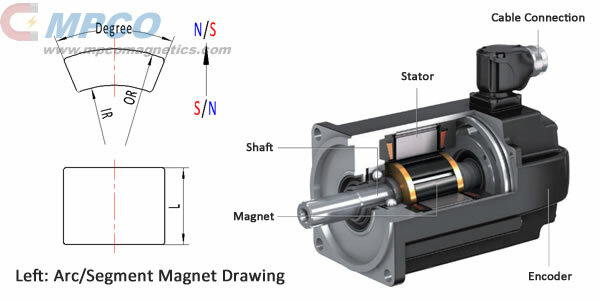 High-Performance Magnet for Motors – Recent concerns about the global environment have spurred a trend toward energy-saving and more-efficient electronic devices, resulting in a shift from wound motors to motors that use magnets, which are expected to grow in popularity. In particular, the development of magnetic motors for use in energy-saving and more-efficient home electronics as well as electric and hybrid cars that aim to raise fuel efficiency is progressing. Magnetic motors are also garnering attention for use in elevators and the drivetrains of electric vehicles. There is also potential for the use of magnetic motors in ‘cleaner,’ energy-conserving injection-molding machines, demand for which has led to the use of electric power in those devices. 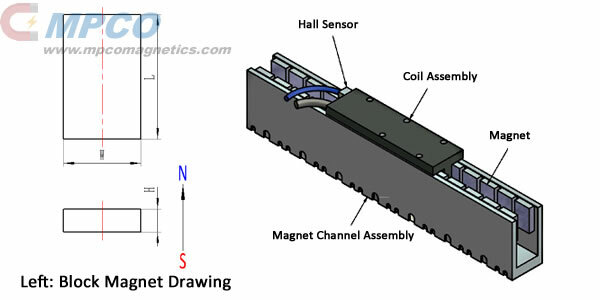 Magnets that will improve motors’ functions are in demand. 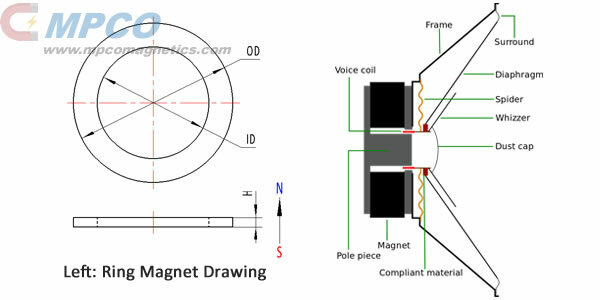 The demand for high performance and improvements in magnetic properties of magnets used in motors is constant, making necessary improvements in features and performance other than magnetic properties to enable a wide range of applications and methods. MPCO Magnetics Inc. is in partnership with motor manufacturers who are pushing the boundaries of achievable performance and efficiency. 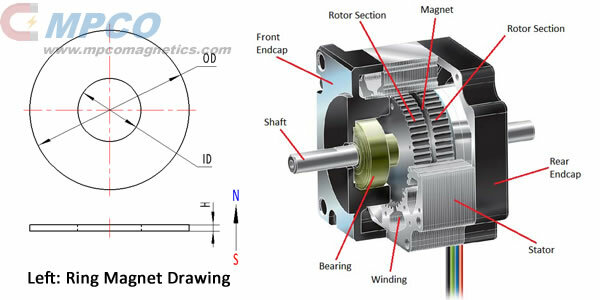 With over a decade’s growth and accumulation in the permanent magnet industry, MPCO is able to provide suitable magnets for various applications including direct current (DC) motors, synchronous motors, servo motors, stepper/stepping motors, voice coil motors (VCMs), linear motors, spindle motors, starter motors, rotor assemblies, electric power steering (EPS), wind turbines and generators, travelling wave tubes (TWTs), circulators, isolators, magnetic couplings, magnetic bearings, Hall effect sensors, power tools, Hall arrays, magnetic separation assemblies and equipments, instruments and meters, magnetic levitation, magnetic resonance imaging (MRI) and medical, etc. Material Type: Sintered NdFeB Magnets, Sintered SmCo Magnets and Bonded NdFeB Magnets. Material Type: Sintered NdFeB Magnets.